Who is Tracy Lee Mei Ling (李美玲)? Just in case you missed it, former TV actress Tracy Lee Mei Ling (李美玲) wed the Popiah King’s son, Ben Goi, in a ceremony and dinner that had politicans, former presidents and the most beautiful celebrities as guests. But who is the bride? 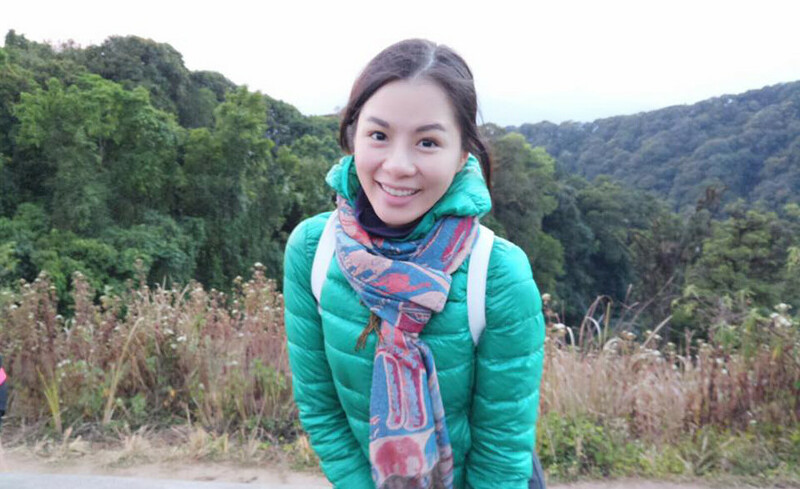 Tracy Lee is a Malaysian Chinese actress who gained fame in Singapore. Just a year later, she was cast in her first-ever role in a TV drama. She played Lin Meiqi in a supporting role. Not bad for a newbie in show business. Only 3 years later, she got her first lead role in a TV drama under Mediacorp as well. She played Han Xiaoyang (警徽天职) opposite Elvin Ng. What about the courtship with Ben Goi? According to Singapore website 8days, their courtship begain 19 months ago. She had met him in 2010 through common friends. They didn’t hit off back then, she said in an interview with the website, but she did meet him again last year and attended a party at Ben Goi’s house. From there, they hit it off and began dating, easily beginning to talk about marriage. They recently had a trip to Bhutan in August, and that’s when they decided to get married. According to the interview with Tracy, Ben didn’t propose to her at all. But he did give her a 1.5 carat diamond ring, she said. What’s with all the VIPs at the wedding? Tracy Lee declined to comment on the presence of former President Tony Tan and Minister Goh Chok Tong. Nonetheless, she thanked them for attending the wedding. So how much did that wedding cost? Tracy also declined to say how much she spent for the Singapore wedding. For the Malaysian wedding, she may give a figure! Another wedding in the works? Since the wedding was quite rushed, accoridng to Tracy, she said that they are having another one in Malaysia, probably for her side of the family. Reports say that she was the one to plan the ceremony and all the details as she described herself as a perfectionist. You can count on Singaporeans to have various opinions on anything and everything under the sun. With a wedding guest list this illustrious and the fortune the groom’s dad has amassed, the online forums are abuzz. 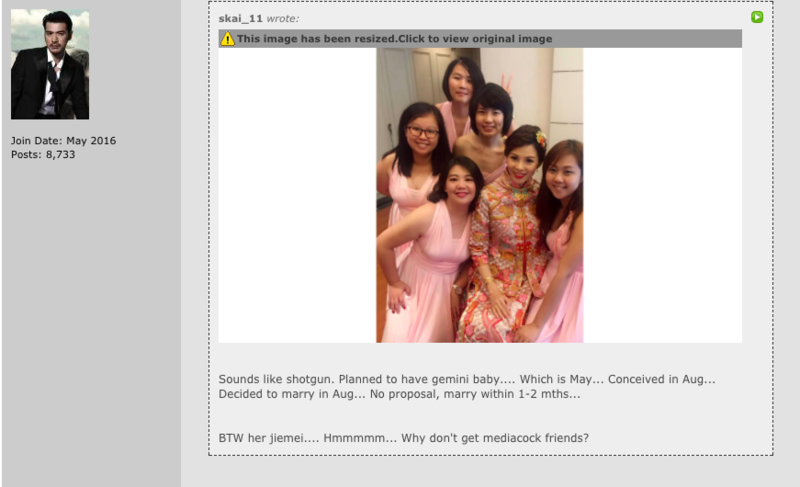 Some of the forum users said that this is allegedly a shotgun wedding. In her interview, Tracy said that she wanted a Gemini baby after a year. Another part of the interview did mention that they only decided to marry in August. What do you think about Tracy Lee now? Congratulations again to the newly-wedded couple! Header image from Tracy Lee Official Facebook profile. Of course it is! Big fish still wait for what. Even local actresses may not get the limelight or fame after years of hard work, not to mention being a malaysian acting in SG. How long does she have to slog? Just marry a billionaire’s son is the easiest way out of course. Ready fame and money, who will resist? He is rich but not the most handsome man around, otherwise would he still be available at 41?? 9 years difference in age, not the most compatible pairing though. Frankly, men, rich or poor can have extramarital affairs. If things don’t work out, would you rather divorced rich than to divorce and have nothing to your name? Obvious right?? This Tracy is a smart woman. She has everything planned.